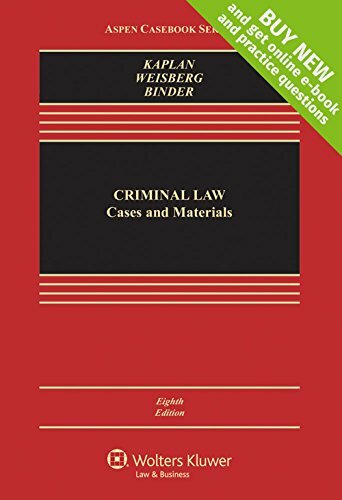 Criminal Law: Cases and Materials, Eighth Edition is written by a well-respected authorship team that provides comprehensive examination of criminal law under both the Model Penal Code and common law. Interspersed with thoughtful excerpts that provide social, political, and criminological background the black letter law, this casebook focuses on an interdisciplinary approach that provides a useful starting point for classroom discussion. The eighth edition has been updated to provide coverage of recent changes in the law, especially in the areas of sentencing and the Eighth Amendment, and includes notes and questions, making the book more useful for exam preparation.